Roast the hemp seeds in a frying pan without oil for approx. 3 mins, leave to cool. Mix the oil, garlic, lemon zest, chilli pepper and hemp seeds in a bowl, season. Cook the spaghetti in boiling salted water until al dente, add the spinach. 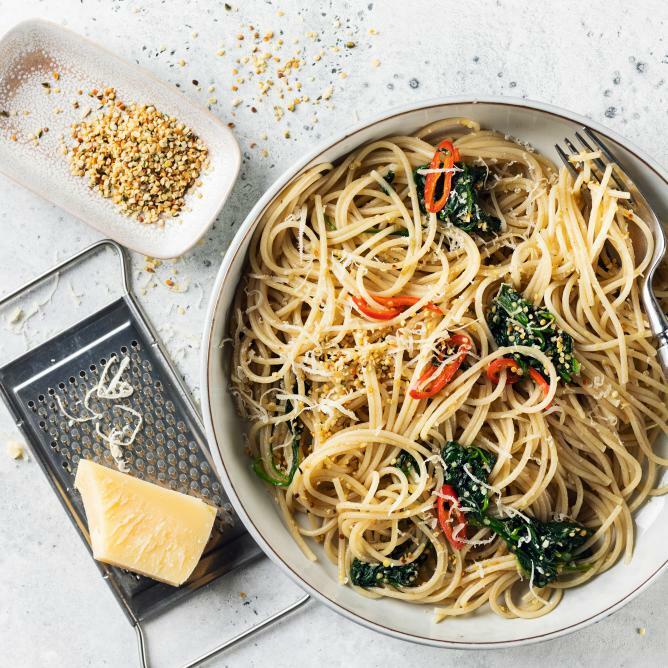 Set aside 100 ml of the cooking water, drain the spaghetti and spinach, add to the hemp oil together with the reserved cooking water, mix and arrange on plates. Sprinkle the Sbrinz cheese on top.